Does Anyone Still Play Bureau 13: Stalking the Night Fantastic? Today, I have another Halloween gift for you: my most recent Bureau 13: Stalking the Night Fantastic character sheet. This game has probably gotten more play in our game group in the last 25+ years than any other. It's not that it's a particularly brilliant game but it seemed to sit well with all the players and GMs. I don't imagine there are more than a handful of people who play this once award-winning game. 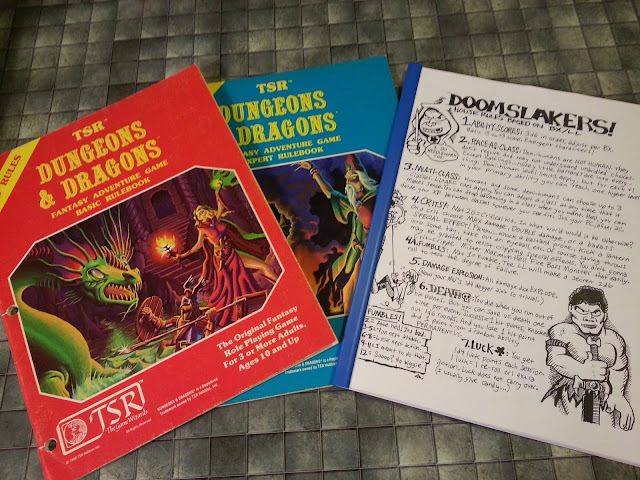 It's long-since been surpassed in terms of system design and graphic design, with rules layout and clarity and illustrations that harken back to TSR's original Dungeons and Dragons or Holmes Basic. And a lot of people could never get past the tongue-in-cheek vibe of the cover, interior illos, and fluff, or the toolkit-style presentation of the rules. If they had dug a little deeper, though, they'd have found a nifty little game that allows for a lot of character creation flexibility and that can be played completely "straight" - as in: not in a humorous vein - to great effect. 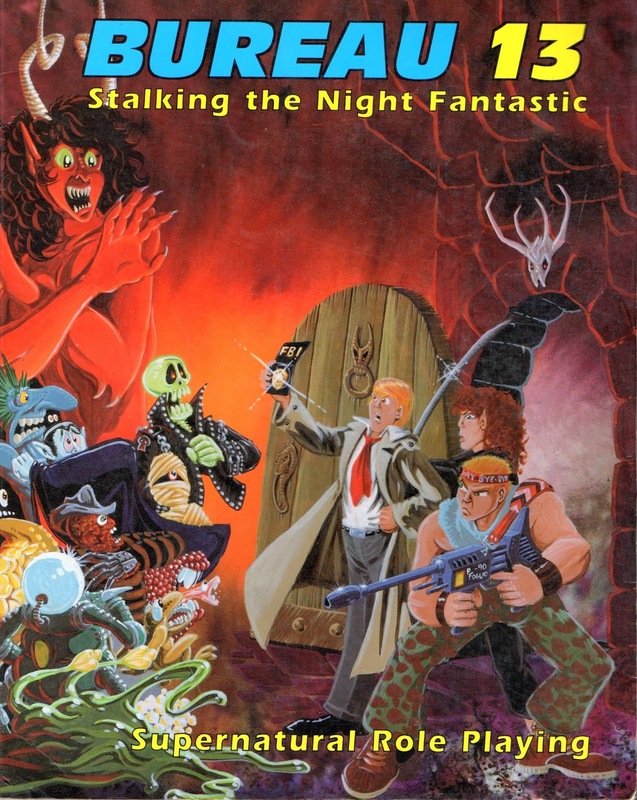 My group found that it offered a nice balance between the nihilism and hopelessness of Call of Cthulhu and the "super heroes fight monsters" feel of Beyond the Supernatural. It also gave us The X-Files and Delta Green over a decade before these were even conceived. B13 players will notice that some of the stats are missing - that's a result of a house rule that removed combat abilities from character attributes and turned them into skills, where our group generally agreed they belong. Huh. I never had a chance to check this out. Having recently considered doing something halfway between BTS and CoC (though with a B/X chassis), this might be something worth picking up first. Do you know if it's still available somewhere in PDF (for sale, I mean)? JB - their entire library is available via their website: tritacgames.com. 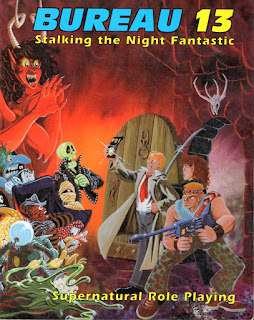 If you do buy one or more of the books from them, start with the 1990/92 edition (with the Phil Foglio cover). That's our go-to edition. The older first and second editions (essentially the same book, just different bindings) are interesting, but not as playable. And the later editions (attempts at D20-ifying the rules) are just a mess. As a long-time Foglio fan, there really is no other option. The only thing I remember about this game is a review in Dragon Magazine, which was headlined, "'Stalking the Night' Not So Fantastic." So apparently, they didn't care for it.